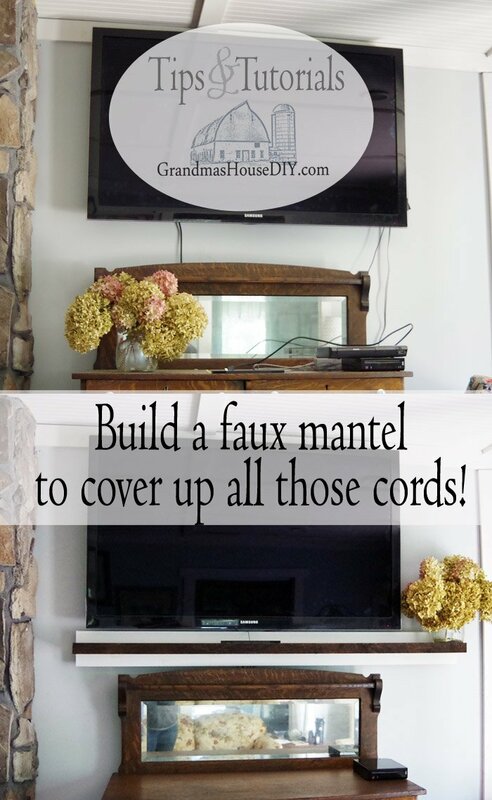 A “Faux” Mantel to hide those ugly cords – Woodworking Tutorial How-to! 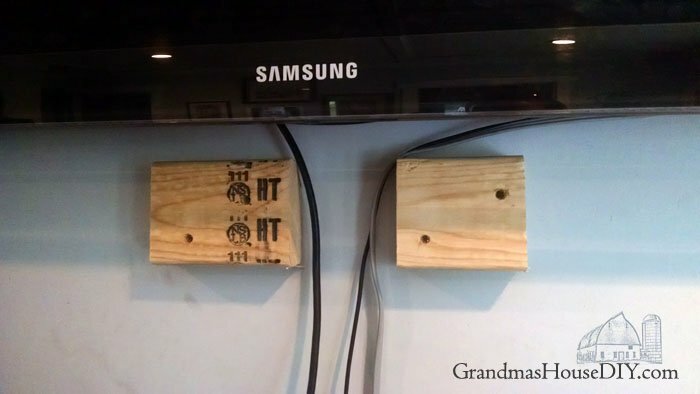 This is a wood working tutorial on how I built a “faux” mantel and floating shelf beneath my flat screen television to hide those ugly cords. 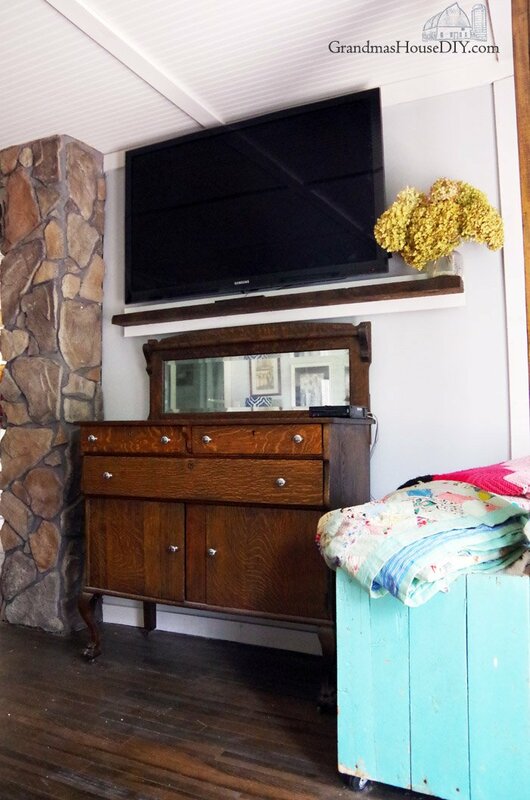 When I ran the electrical for this house I almost put two holes in the wall so I could run the cords behind the sheet rock however, I didn’t own this television at the time and I really didn’t want to put them in the wrong place! 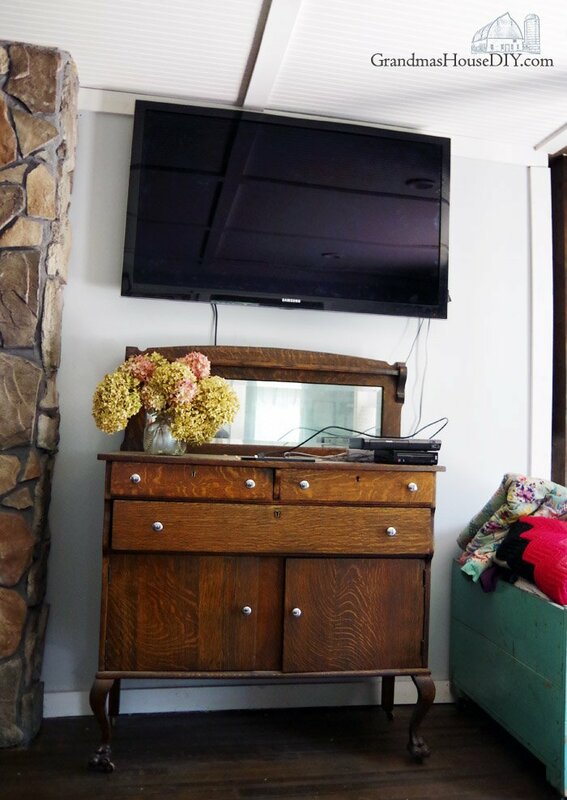 And it turned out to be a good thing that I didn’t because this tv would have required two separate holes – one for the power cord and one a mile away where the majority of my electronics get plugged in. Which means that for the past two years of living here those cords have been driving me crazy! It was time to come up with a solution that (apparently) did not include taking my massive television down from the wall because, after two years, that was clearly not going to happen and I just had to face the fact that I didn’t WANT to put holes in my wall because if I had I would have done it by now! 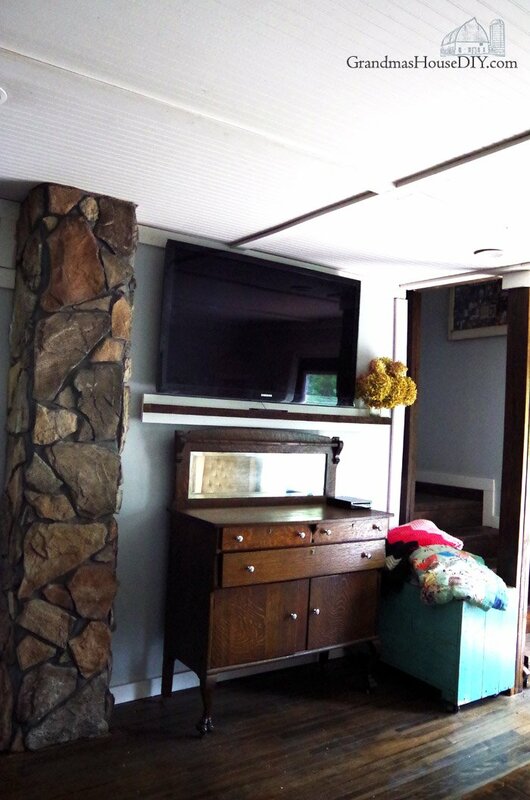 I decided the least conspicuous thing would be a shelf that also looked a little like a mantel that would even kind of look like the television was sitting on top of it a little bit. It needed to be just far enough out from the wall that the cords could be run behind it. I got to the drawing board! 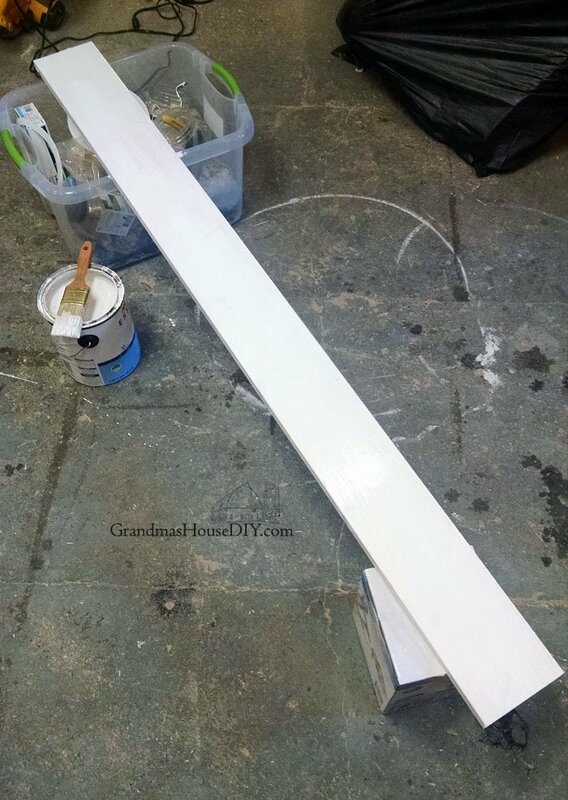 The back of my mantel is a brand new 1×6 cut to length that I painted white. 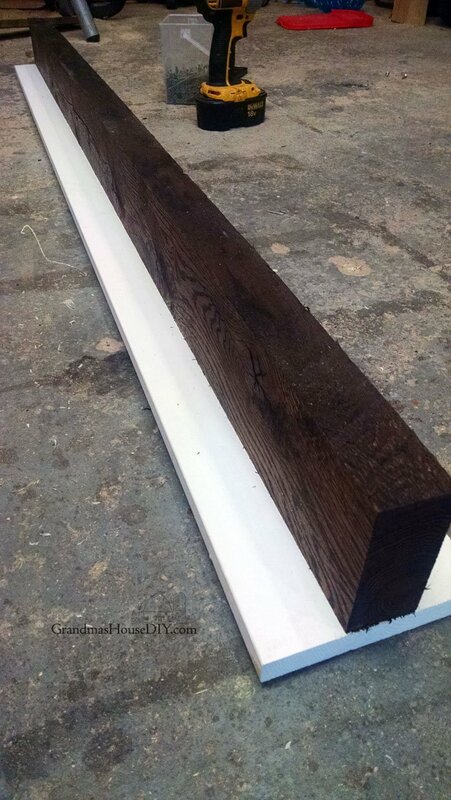 Then I cut a rough-sawn oak 2×4 (from the stash my wood working grandparents’ left me out in the barn) at the same length which I then cleaned up and stained to match the buffet. (The stain is called Dark Walnut by Minwax.) With the stain dry I attached it down the center of my 1×6 using several 3″ screws. I was not shy with the screws here, they are what allows this piece of wood to look like its “floating” and they are all that is keeping in there! 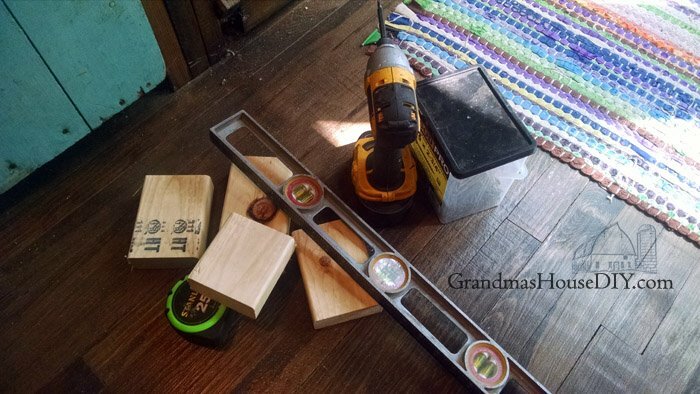 I cut four pieces of scrap 2×4 and screwed them to the studs along my straight line that I made with a level and a pencil. 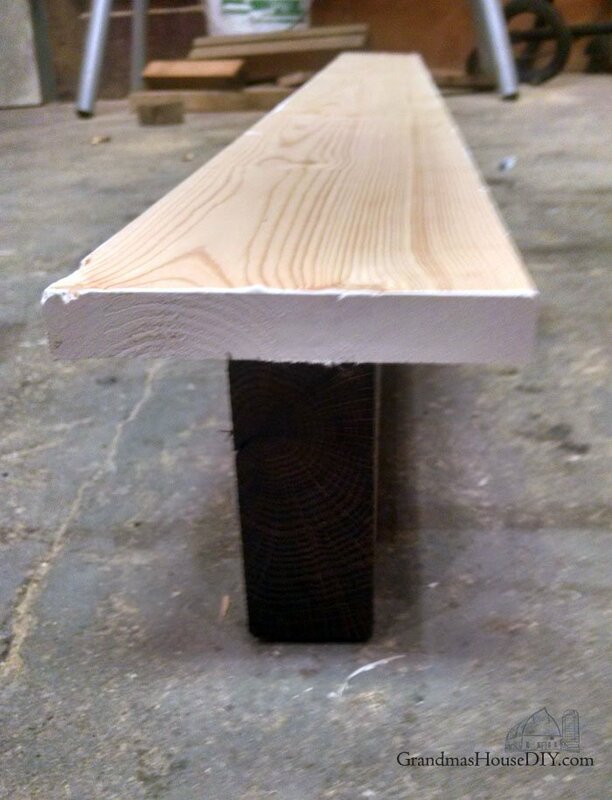 Using 2x4s meant the mantel would be 1 1/2″ out from the wall – plenty of room for the cords. 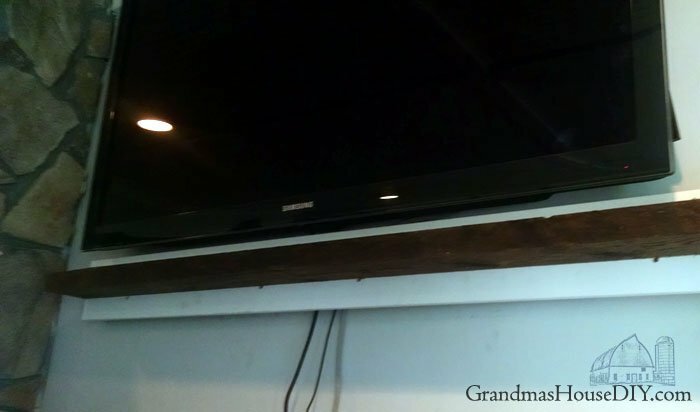 With that done I tucked my cords along the brackets and I hung my mantel. I screwed it to the 2×4 braces by putting a screw in each brace below the “shelf” and then filled the screw holes with white caulk and viola! I love that (at least to me) this doesn’t look like something I added to hide the cords but, instead, a deliberate design feature. Did I really go out and buy such an enormous flat screen tv? Of course not. I am so frugal I probably wouldn’t even have a tv lol. My dad had this tv for several months and then stuck it in my garage because it “quit working” and he told me that I could have it. I ignored the big thing for a good year because I had no idea what it was going to entail to get it fixed (though I did figure it would be worth it) and the darned thing was so huge and heavy I just didn’t want to mess with it. Eventually I purchased a new power cord for it, plugged it in and the darned thing worked fine for quite awhile. A few months goes by and the picture starts flickering and going black – it proceeds to get worse and worse and worse and my dad confirms that that was what had happened to him too. So, after a whole bunch of searches on youtube, Joe (my now ex husband) and I took the plunge and did surgery by taking the whole thing a part and cutting what’s called a “jumper” line in the back and, by some kind of fricking miracle, it worked! So I’ve got this amazing tv for the cost of a $20 wall mount 🙂 And now, thank the universe, no more cords to stare at! This is brilliant. 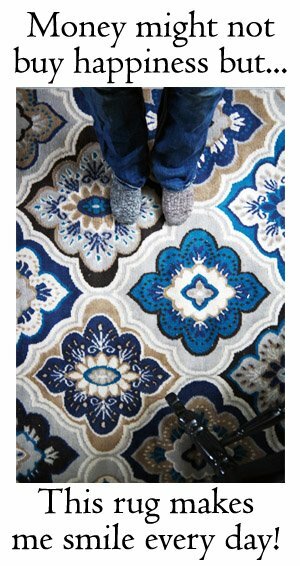 I loathe cords all over the place and they are absolutely a headache for most women I know. Not sure about most men but the men in my live couldn’t care less. 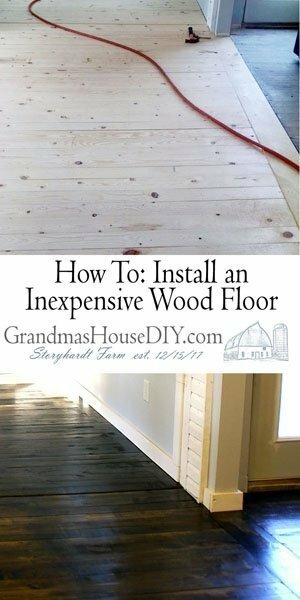 This is a simple project that most of us could handle on our one. Great solution and thanks for coming up with it. What a great idea! I hate cords showing and now I have an answer. Thanks so much for sharing your idea with us at #BloggersPitStop and have a lovely weekend. Ah man Tarah, there’s nothing worse than seeing cords running all over the place. This is such a brilliant way to hide them. Cords showing is really a pet peeve of mine. What a great solution for the problem! Thanks for sharing with SYC. Although I’d never have use for this personally (off grid and waaay out of range-of ANY reception- lol) I LOVE your solution! The mantel is a focal point, and the rest just fades into the background of the wall. Kudos! BTW, LOVE the buffet! (Mine is mission, and I envy the SPACIOUS, middle drawer of yours!) Mine is slender, not much space. (But I digress!) I enjoy your posts, keep it up! Thank you barbie! The buffet was one of my grandma’s and is so totally one of my very favorite pieces! Please, please come show us how to do this. It seems simple enough, but for some reason I don’t understand where you plugged in the cords now. I didn’t see that explained. Love your and your posts though. Love your solution! You two amaze me fixing things! 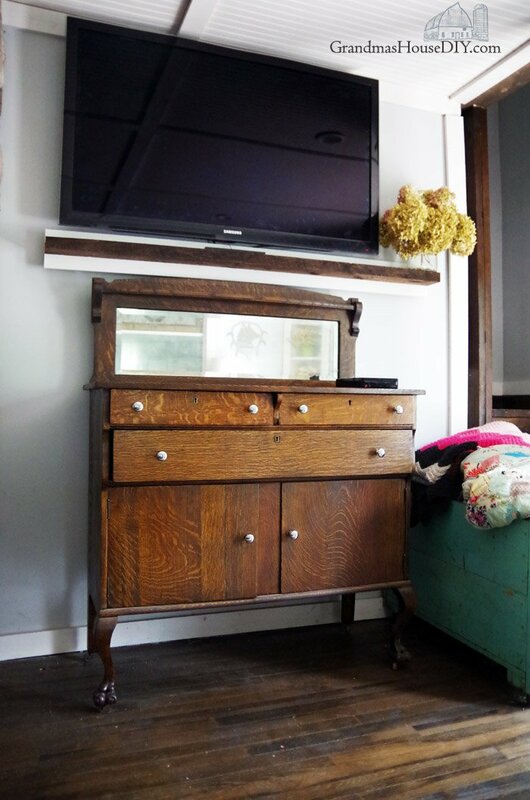 Your tv stand a.k.a. buffet is gorgeous, so lucky to have such a wonderful piece of furniture, an antique.Was that your Granma’s? I so love wonderful old pieces of furniture like yours, it’s a keeper. Thank you JaneEllen, for coming by, reading and commenting! I hear ya about those castors! Almost every piece of furniture my grandparents’ had had castors on them lol so handy! 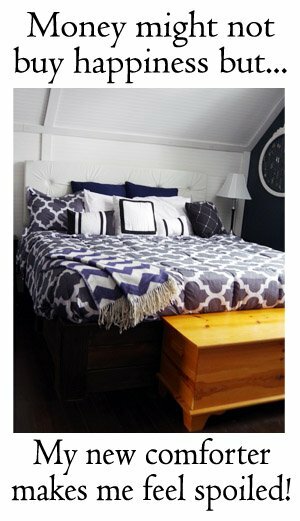 Especially with the big old pieces that are solid wood, they are gorgeous but they are also really HEAVY. Hey Theresa, surprisingly the wall mounts are really inexpensive, I purchased ours on Amazon for less then $20! Thanks for coming by! This looks so much better than the white cord tubes along the walls. Great job and thanks so much for sharing at the #happynowlinkup! What a great idea! Love it so much! You are amazing! 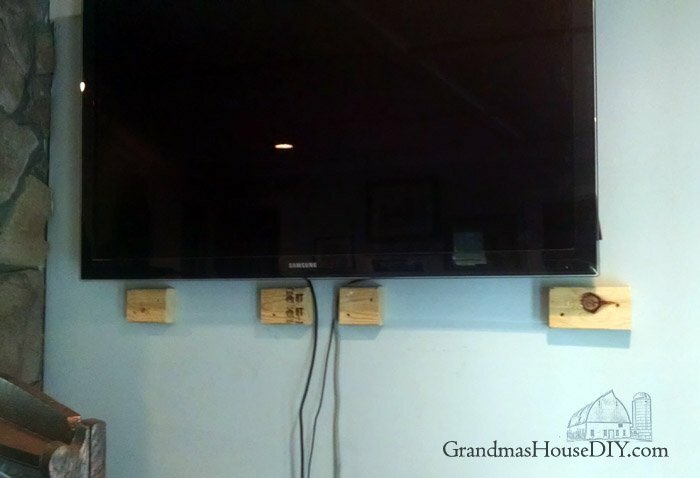 Such a good idea for hiding all of those cords. You did a great job! Thank you for sharing on Party in Your PJ’s! Pinned and shared. I love it. Can’t wait to try this. Great idea.